Our New York City construction accident lawyers have represented construction workers in all trades, including sandhogs, cement masons, carpenters, plumbers, electricians, laborers, operating engineers, and iron workers (both structural and ornamental). We have the experience and expertise to aggressively fight for our injured plaintiffs. General contractors and construction site owners have an obligation to keep sites safe. However, in the real world, proper protection and safety precautions may be lax or altogether ignored. Sometimes multiple parties are at fault and assessing who is liable can be a complex exercise. Construction and safety laws all have a part in a construction site accident. Let our New York City construction accident lawyers handle the legal intricacies while you take the time to heal. The elements that comprise a construction site—the men and women performing intense physical labor, the tools, the heavy equipment, and the time constraints—combine to create a dangerous environment ripe for accidents. Construction site accidents cause injuries that are often catastrophic and sometimes deadly. Falls from improperly constructed or improperly placed ladders and scaffolds often result in injury. Falls on construction sites from weather conditions, debris, or improperly maintained work areas may also lead to injuries. If you were injured at construction site, you need to have a construction accident lawyer that is familiar with construction operations. 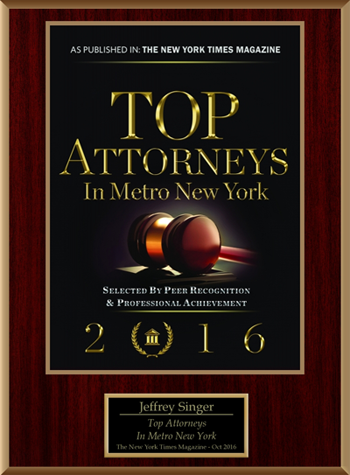 The attorneys at Segan, Nemerov & Singer, P.C have been to construction sites. We understand how they operate and how they should be maintained. We are experienced construction accident lawyers who can help you recover the compensation you deserve for your injuries. As New York City construction accident lawyers, we understand the consequences of an injury. Often recovery time is lengthy—time when you cannot work to support yourself and your family. Hospital stays, doctor visits, and physical therapies are costly. Segan, Nemerov & Singer, PC works to minimize the economic impact of your injury. We aggressively fight to recover the damages due you. At Segan, Nemerov & Singer, P.C. we have access to the best experts available who help prove your case and your damages. These experts include those who reconstruct accidents, medical professionals, vocational experts, life planners, and economists. We work as a team to ensure you receive the greatest compensation possible. If you or a loved one has been seriously hurt in a construction accident in New York, contact the experienced construction accident lawyer at the law firm of Segan, Nemerov & Singer, P.C. 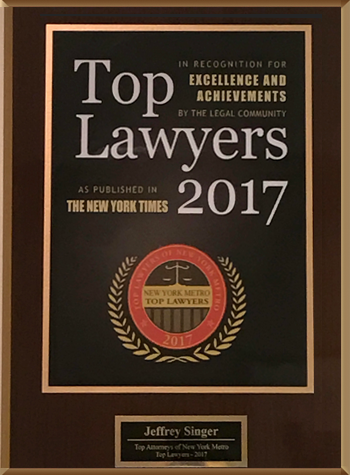 for a FREE CONSULTATION to discuss your claim, call us at (212) 696-9100 or click here to contact us online.